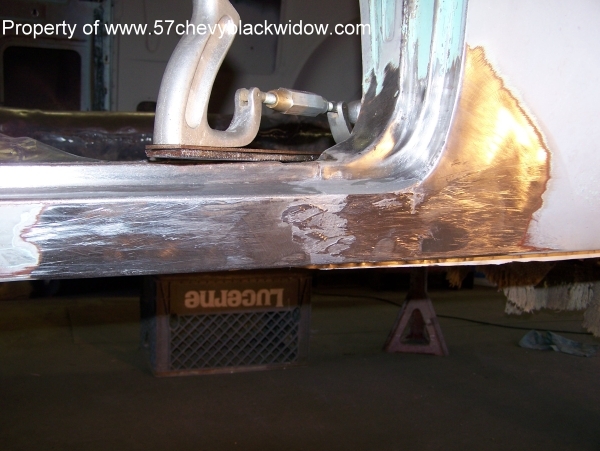 The "150" series has no rocker molding like the Bel-Air does. 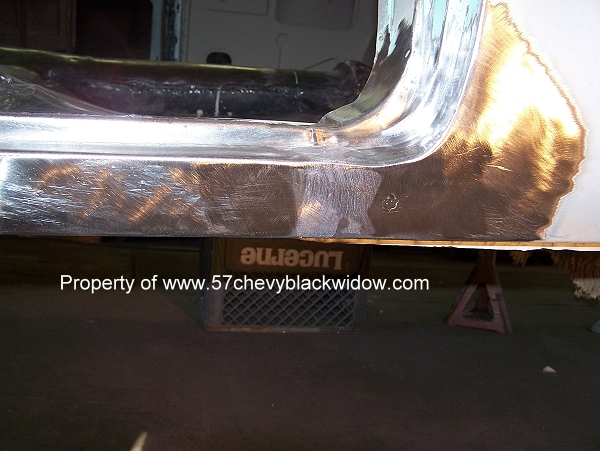 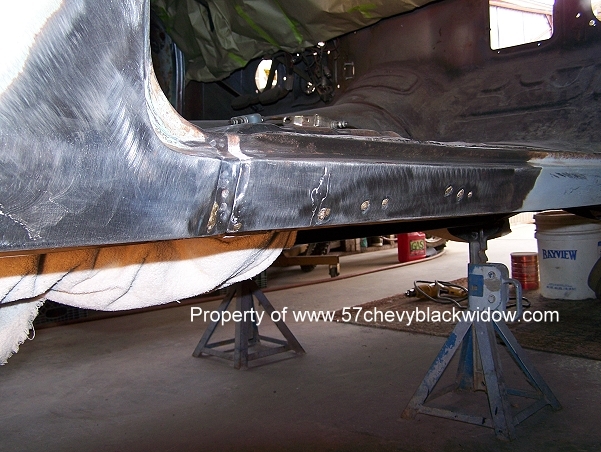 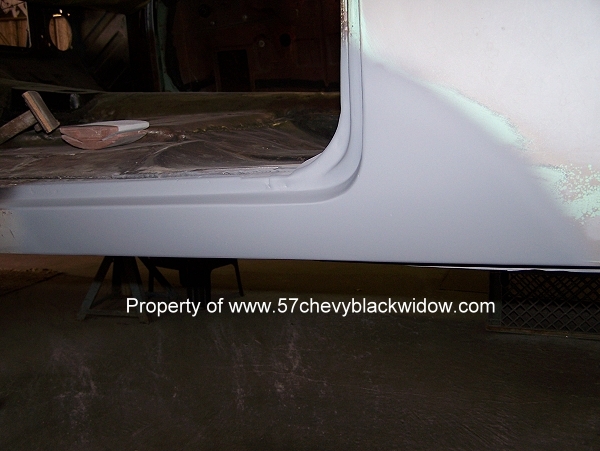 The factory uses lead at the seam where the rocker panel meets the quarter panel. 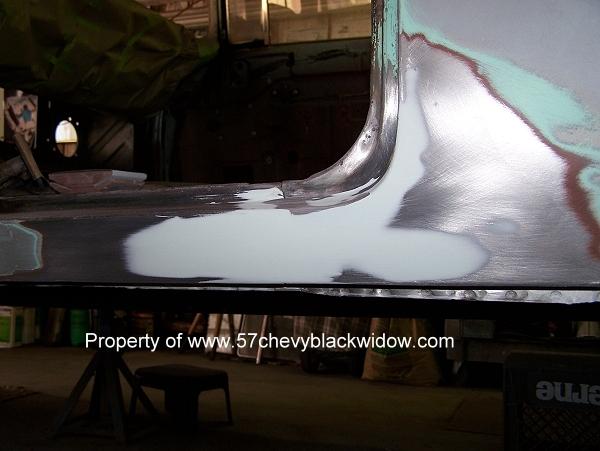 "Old Guy" Scott" says the factory seam is usually poorly done, and without the molding it will always show. 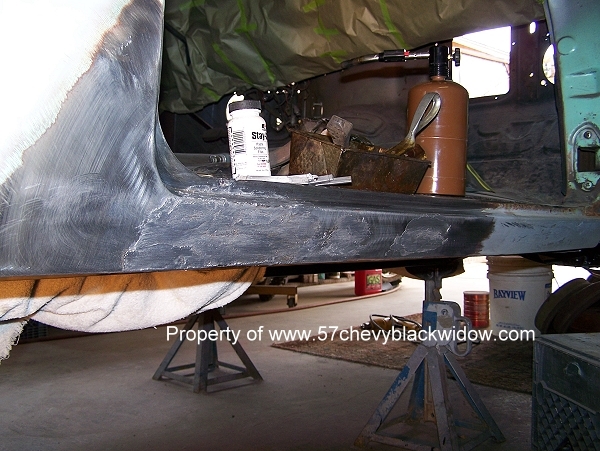 Follow the photos and you will see how this flaw is corrected. 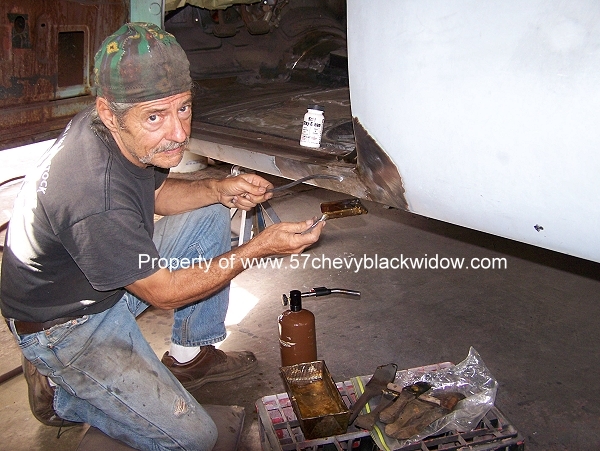 "Old Guy Scott" says, if you don't use lead in this area, it will most likely crack in the future. 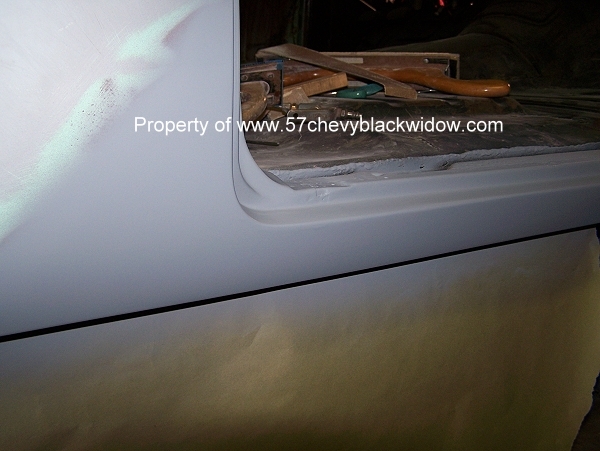 Many custom cars show cracks here because they didn't know, or care, about the importance of proper lead work.